We are now in the most sacred week of the Christian year, when we remember Jesus’ ultimate sacrifice for us. Greater love has no one than this, that they lay down their life for their friends. On Thursday evening we will gather together for our Maundy Thursday service, where we will wash one another’s feet and break bread together, in remembrance of the events in that upper room where Jesus met with his disciples. This begins at 7 p.m.
Then on Good Friday we will gather at 11 a.m. for our Tenebrae Service. In this moving liturgy, we read the story of the last hours of Jesus’ life, and as we read, seven candles are extinguished on the altar. We leave the church in darkness and silence. And then we will gather on Easter Sunday, again at 11 a.m., for our joyful Easter Sunday Eucharist as we celebrate the resurrection of Jesus from the dead! This will be followed by a potluck and Easter egg hunt! There will be many readings telling the story of Easter during our three special services, details can be found via this link! On Good Friday we will be singing the hymns When I Survey the Wondrous Cross, O Sacred Head Now Wounded, How deep the Father’s love for us, My Song is Love Unknown, Were You There When They Crucified My Lord, and O Love that Will Not Let Me Go. And then on Easter Sunday we will be singing Jesus Christ is Risen Today, The Day of Resurrection, Christ is Alive, and Thine Be the Glory. Our special choir will be singing Up from the Grave He Arose. 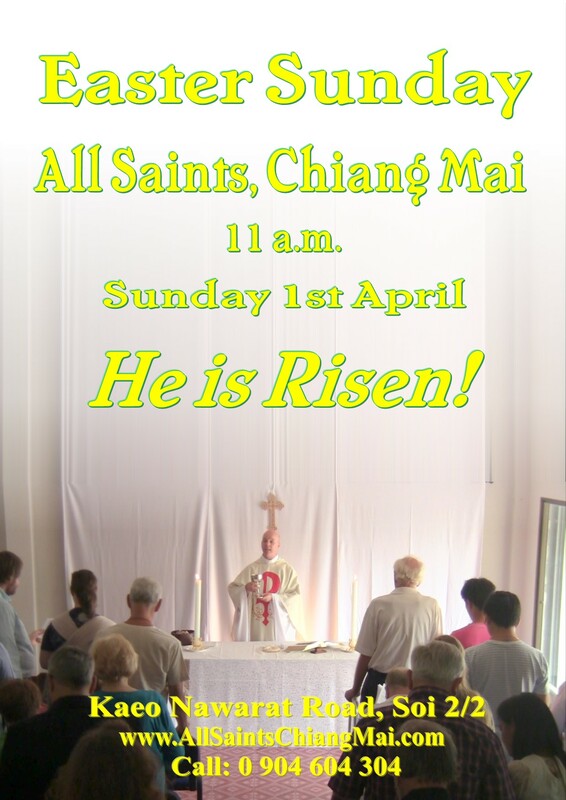 Last week’s Palm Sunday service can be viewed via the All Saints audio-visual page! with Parade of the Palms. Palm Sunday is upon us! 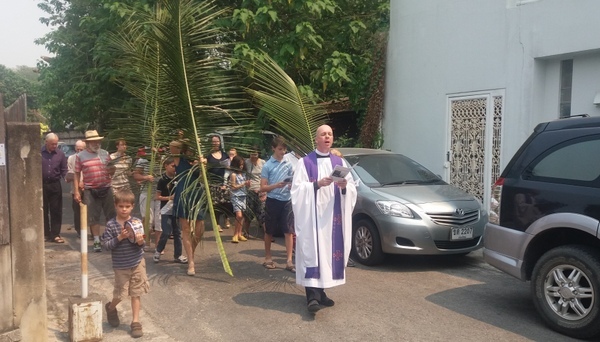 We will parade into the church on Sunday waving palms and shouting hosanna, just as the crowds did on the first Palm Sunday two thousand years ago! Hosanna means deliver us, set us free, bring salvation. Are we crying out to God for ourselves, for others, and for the world? Or are we comfortable with the way things are? Jesus came to turn the world upside down – he threw the merchants out of the Temple, challenged those in authority, and was crucified for it! How much are we prepared to act and pray to make this world a better place? Our readings this Sunday will be Mark 11:1-11, Philippians 2:5-11, and Mark 14:1-11, and we will be singing the hymns Hosanna in the Highest, All Glory Laud and Honour, Hosanna Loud Hosanna, You are the King of Glory, and Ride on Ride on in Majesty! The readings can be found via this link! Lent Study Groups – Last Chance! In our final week, there will be two groups meeting: one meeting on Monday in Doi Saket at David and Shem’s house, and one meeting on Wednesdays in Hang Dong at William and Tarntip’s house. As we approach Easter we will study chapter 9 and reflect on the meaning of this most holy of feasts! One more week in purple! 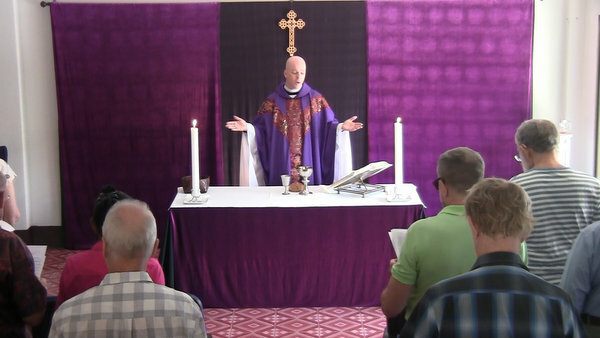 Lent, that time of reflection and fasting, is drawing to a close. Mark will be preaching this week, reflecting on the centrality of Jesus in the Christian faith. The following week we will be in red for Palm Sunday! How has Lent been for you? Has it passed you unawares, or has it had an effect on your life? 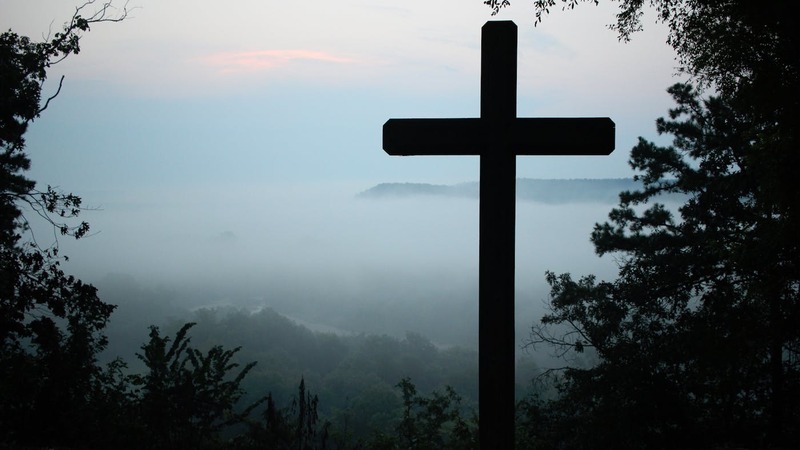 Has something changed through your Lenten observance? Of course, we are all busy people, but it is never too late to spend a moment contemplating the deep questions of life, giving thanks for all that we have, and resolving to change our lives for the better. Our readings this Sunday will be Jeremiah 31:31-34, Hebrews 5:5-10, and John 12:20-33, and we will be singing the hymns All for Jesus, Be Thou My Vision, Break Thou the Bread of Life, and Christ is made the Sure Foundation! The readings can be found via this link! You can view last week’s sermon via the All Saints audio-visual page! Next week, there will be two groups meeting: one meeting on Monday in Doi Saket at David and Shem’s house, and one meeting on Wednesdays in Hang Dong at William and Tarntip’s house. As we approach Easter, we will be discussing Chapter 8, the Death of Jesus, next week, and chapter 9, Easter, in our final meeting during Holy Week! Even if you haven’t been yet, there is still time to join us! Meanwhile, Easter is coming soon! A snake on the Cross? What does this mean? 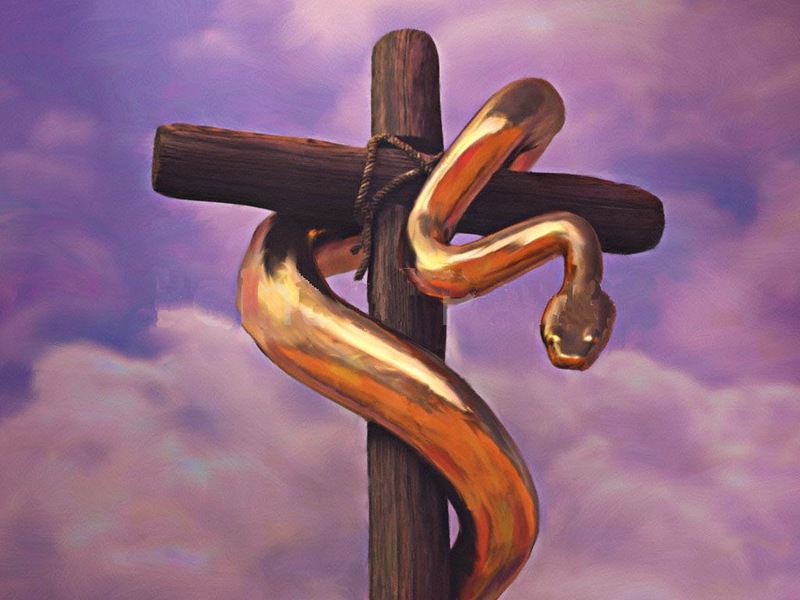 In this week’s Old Testament reading, we hear of God’s antidote to poisonous serpents: a bronze serpent on a pole! What is that about, and what does it mean? How does it connect to the gospel? Find out this week! Our readings this Sunday will be Numbers 21:4-9, Ephesians 2:1-10, and John 3:14-21, and we will be singing the hymns Alleluia Sing to Jesus, He lives He lives, Lord I lift your name on high, and All Hail the Power of Jesus’ Name! The readings can be found via this link! You can view last week’s excellent sermon by Taylor Pfaff via the All Saints audio-visual page! For the first time this year we are having Lenten Study Groups. We are studying the book Speaking Christian by Marcus Borg. 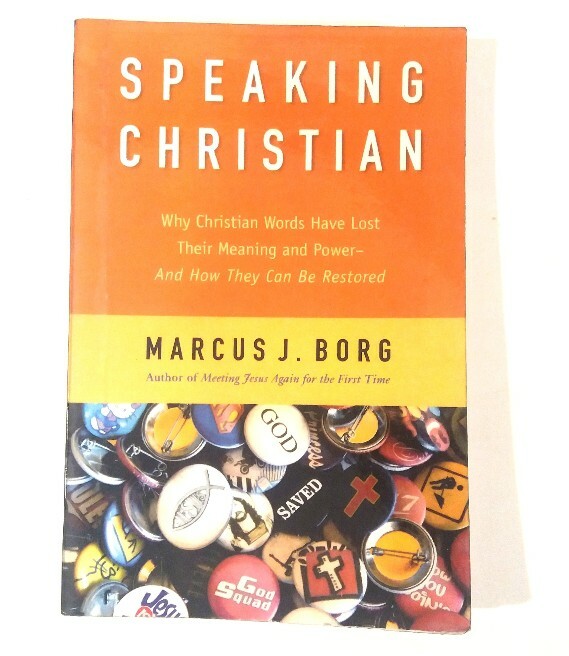 In this easy to read book, Marcus Borg explores what key Christian words really mean – you might be surprised! When Jesus said “You must be born-again”, what was he talking about? Maybe not what you think… and what does salvation actual mean? 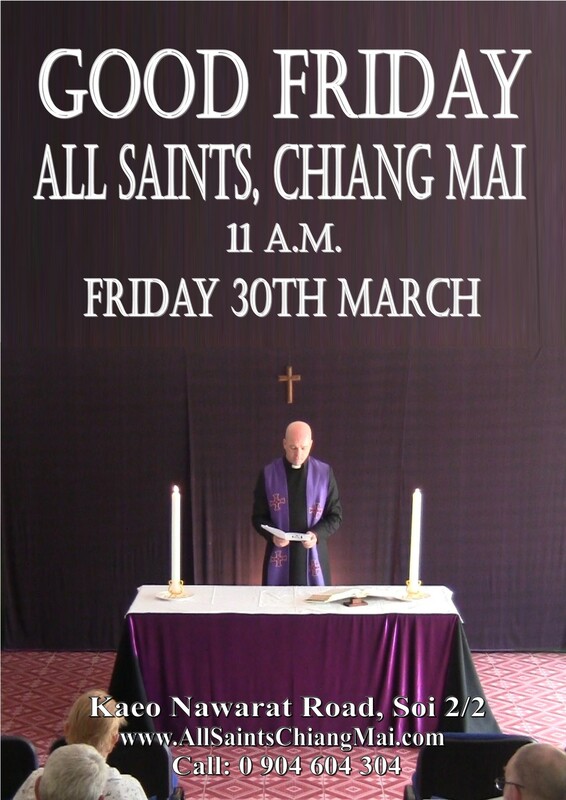 There are three groups: one meeting on Mondays in Doi Saket at David and Shem’s house, one meeting on Tuesdays in central Chiang Mai at the Vicarage, and one meeting on Wednesdays in Hang Dong at William and Tarntip’s house. Next week we will be discussing Chapters 13 and 14: Sin, and Repentance and Forgiveness. Meetings will continue until Easter. You can buy a copy of the book for THB150. Keep it Clean! Why did Jesus cleanse the Temple? Jesus cleansed the Temple, throwing out the money-changers and returning God’s house to a house of prayer. Taylor will be preaching about this this week. 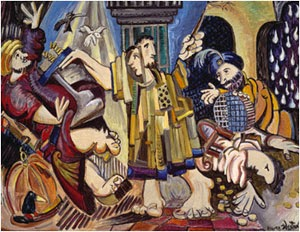 Our readings this Sunday will be Exodus 20:1-17, 1 Corinthians 1:18-25, and John 2:13-22, and we will be singing the hymns When Morning Gilds the Skies, When Christ went to the Temple, O God of Earth and Altar, and Lord of the Dance! The readings can be found via this link! There are three groups: one meeting on Mondays in Doi Saket at David and Shem’s house, one meeting on Tuesdays in central Chiang Mai at the Vicarage, and one meeting on Wednesdays in Hang Dong at William and Tarntip’s house. Next week we will be discussing the meaning Salvation!